You are here: Home / Health / The Top Four Reasons We Gain Weight in the Winter and What to Do About It. The Top Four Reasons We Gain Weight in the Winter and What to Do About It. (ThyBlackMan.com) Labor Day has come and gone and now it’s time to push headlong into the autumn and winter months, although summer seems to hang around all too often in some parts of the country. Along with the winter months, though, comes the dreaded seasonal weight gain. According to research conducted by John Hopkins University, the average person gains between 5-7 pounds during the winter months – and that’s not even factoring in the holiday festivities! The reasons for winter weight gain are innumerable; we can, however, be proactive about our health and institute a few safeguards to facilitate positive outcomes. Remember, it’s all about optimal personal wellness. Here are four reasons (among many) we tend to gain weight during winter months and what to do to guard against it. We are told to sleep eight hours a day for optimal wellness. Some of us would be lucky to get six. That dynamic changes during winter, due in part to less sunshine, which induces the human body to sleep more often (aka “hibernating” effect). More sleep usually translates to less activity. Set a sleep schedule and try to adhere to it as strictly as possible. Shoot for an optimal wellness range of sleep but don’t overdo it. So not only do we sleep more, but winter usually brings on activity malaise, too. Cold weather throws, well, a dose of cold, on our activities. Most ‘activity’ turns inside, such as curling up on a sofa with a book. 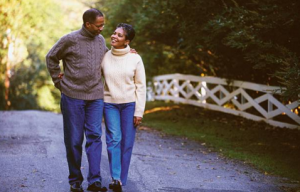 Activities such as gardening, trips to the gym or park all tend to take a hiatus come winter. Make it a point to increase your activity once the cold sets in. Do core on the floor exercises; perform calisthenics daily; make up for lost gym time by parking further from the entrance to the store on shopping trips. The point is to increase activity by any means possible. Ahhh yes, the ole holiday meal traditions we move tortuously through every year. This is by far the most impactful reason behind winter weight gain. It’s also the one that we can most control. Depending on the extent of a person’s range of family and friends, the average person can expect to consume a minimum of twenty to fifty “plates” of food between Thanksgiving, Christmas and New Years Day beyond what they prepare for themselves usually (and that’s a conservative estimate!). Moderation is key. Eat light. Travel lighter. Bypass the sugar and salt drenched meals. Keep the alcoholic beverages to a minimum. For optimal wellness, it’s best to be active year round – not just seasonally. For that to happen, it requires you to take on a different mindset. Eat to live. Do not live to eat. Winter months do not necessarily need to be weight gain months. The key is to stay as active as possible and to think healthy always! Never knew this. I for one have put on a few pounds, as I have gotten older.